When it comes to high end hunting apparel Beretta along with W.L. Gore at are at the top of the heap in terms of providing top quality materials with the ultimate in water resistance and comfort. Sitka beat Beretta to the punch in showing off the new Gore Optifade Concealment Marsh Concealment with their debut at Range Day. We must say the Xtreme Ducker Jacket pushes the limits on the Gucci quotient when it comes to hunting camouflage clothing. 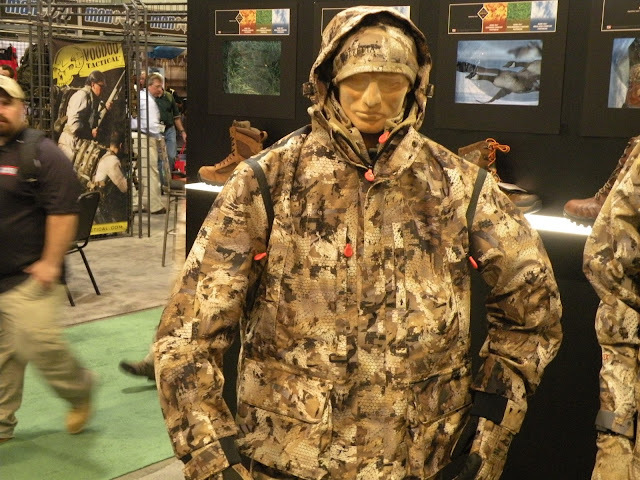 With the new extensive range of camo patterns targeting hunters, the literal twig and leaf concept may be dead in the water.